This half-day mountain bike tour, perfect for beginners, rewards you with a soak at Hoheikyo Onsen. After a 1.5-hour ride along an easy, paved path through the ‘onsen’ (hot spring) town of Jozankei for a snack, you’ll delight in the pure waters of Hoheikyo's outdoor baths, followed by a curry lunch that's popular among locals. Round-trip transport is included from Sapporo. Numbers are limited to 10 on this small-group tour, ensuring a personalized experience with your expert guide. Please note: This tour is seasonal and runs yearly between April and October. The date is subject to change. Explore Hokkaido’s Lake Shikotsu by mountain bike with an expert guide. You’ll depart along the Chitose River and then ride through the woods to the tranquil caldera lake, enjoying breathtaking views of neighboring mountain peaks as you pedal. Take a break during the moderate, 5-hour ride to purchase your own lunch at your choice of lakeside restaurants. Round-trip transport is available from the Sapporo train station, a nearby hotel or New Chitose Airport. Numbers are limited to 10 on this small-group tour, ensuring a personalized experience. 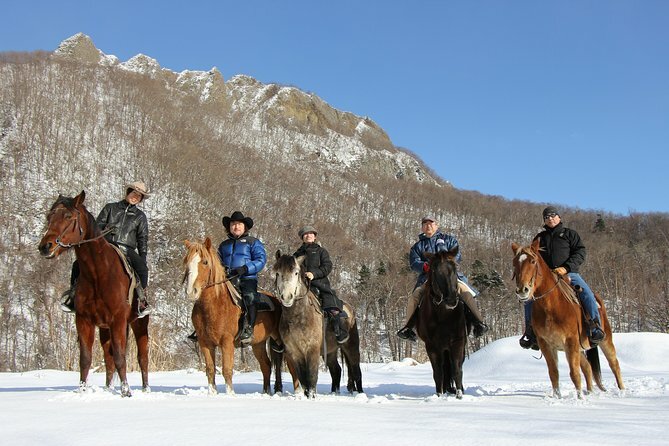 Enjoy a 40- or 60-minute horseback ride not far from the bustle of Sapporo. With an experienced instructor-guide, dressed like an American cowboy, you'll receive a quick riding lesson in Mustang Town before setting off on the ride. Follow well-maintained trails near a spectacular mountain that features an unusual 8-peak formation. The gentle horses are suitable for riders with all levels of experience. Round-trip hotel transportation by taxi is included. 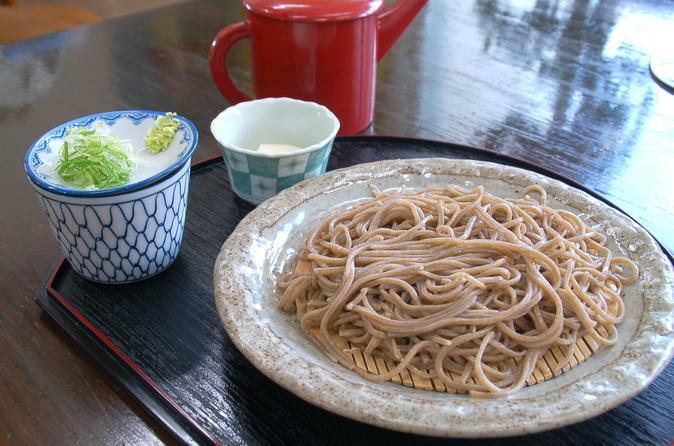 There’s nothing like fresh buckwheat soba dipped in dashi and a splash of soy sauce to make a perfect meal. Learn how to make these noodles in the countryside just outside of Sapporo. A local chef, with more than a dozen years of noodle know-how, guides your small group of no more than 10 people, through the soaking, kneading and cutting process. Make a mountain of noodles, slurp up some right there in the kitchen and then pack plenty to take back to Sapporo — no sharing necessary. Transport is included. 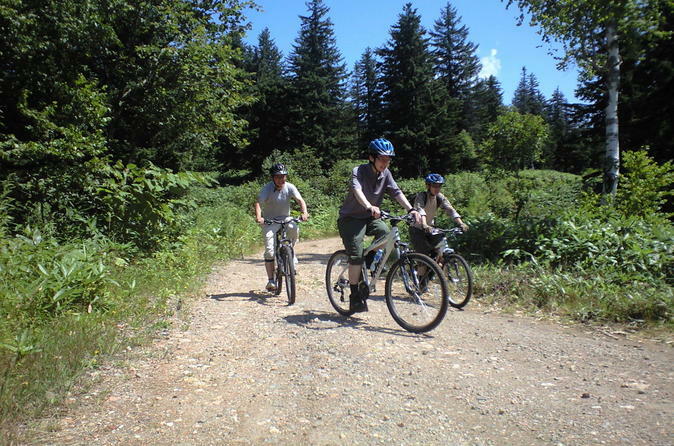 Enjoy an easy mountain bike tour through Nopporo Forest Park, a wildlife sanctuary and national forest on Hokkaido. You’ll receive basic instructions from an experienced guide for riding a mostly flat course through breathtaking scenery. Keep an eye out for flowers, woodpeckers, squirrels and deer throughout your 1.5-hour ride, covering a distance of approximately 6 miles (10 km). Round-trip transport is included from Sapporo. Numbers are limited to 10 on this small-group tour, ensuring a personalized experience. 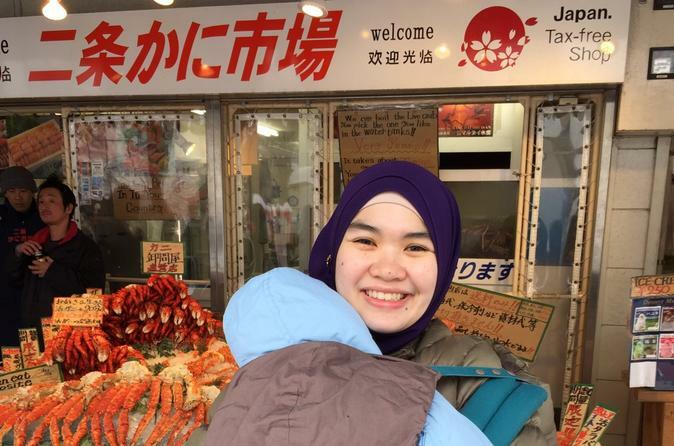 Enjoy a private tour for Muslim travelers covering Hokkaido’s biggest and most famous city, Sapporo. With a local guide, you will receive local Japanese hospitality, or "Omotenashi." 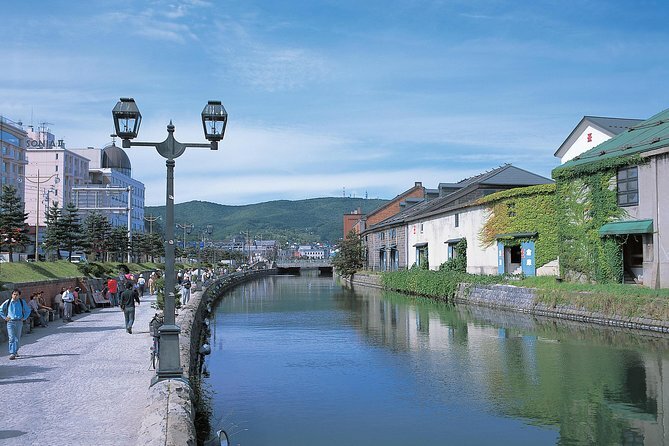 Explore the historic port city and visit landmarks and a local sake brewery. This 8-hour tour features; a friendly, licensed and local guide, a better understanding of Otaru and Hokkaido. You will know more about not only its background but also local's life through them. You can also talk with your guide where to go, where not to go. No rush, comfortable and flexible with your request. There is a stop for lunch, but lunch at your expense. You can pay just for what you have. The sake tasting is included in tour price. 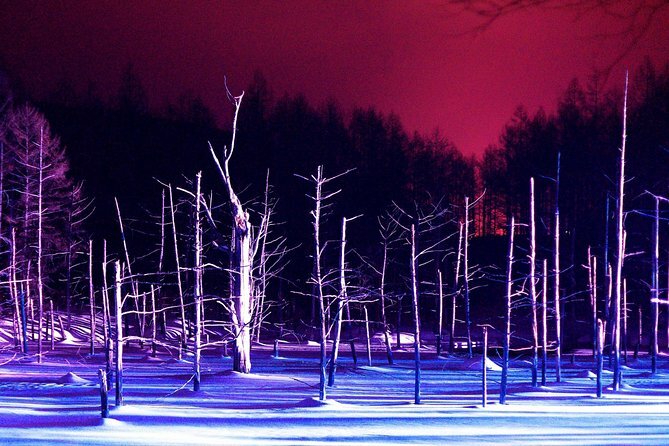 You can visit the signature sightseeing spots of Hokkaido Biei, the Aoi-Ike (Blue Pond). Do not miss the Winter limited light up event. Visit the Shirohige Falls light up event as well, only available in Winter. Enjoy watching the "Penguin Parade", annual Winter event of Asahiyama Zoo. Located at the northern part of Japan, gives Asahiyama Zoo the advantage of letting the visitors to watch the penguin walk closely. A geisha typically entertains guests at invitation-only locations. 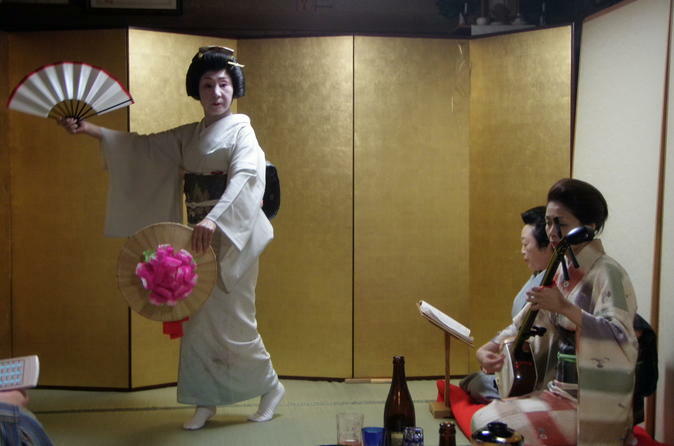 Delight in the company of not one, but two of these highly skilled performers of Japanese music and dance, during a 2-hour ‘geisha party’ at a private home in Sapporo. As you savor a home-cooked meal accompanied by beer and sake, chat with the help of a guide and take pictures with the geishas, who will make sure everyone in your small group limited to 8 diners is having an enjoyable experience. Round-trip hotel transport is included. 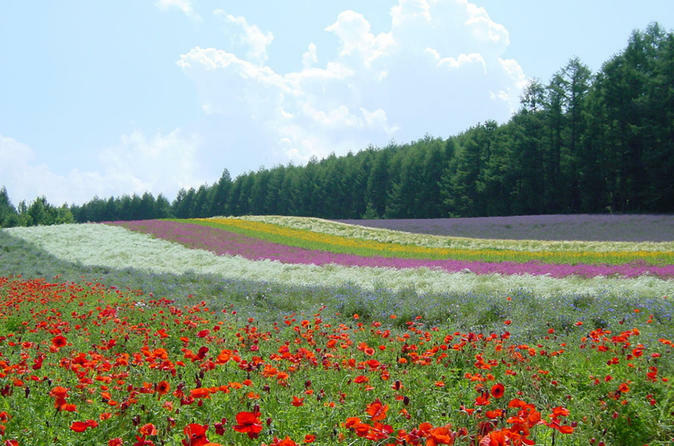 This is a great way to see the Hokkaido rural landscapes of Biei and Furano. 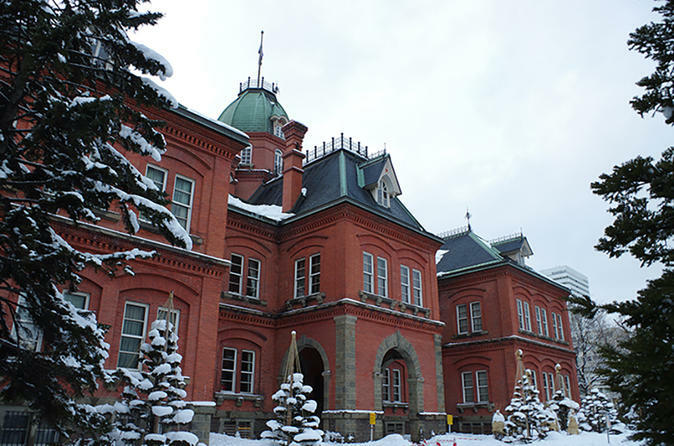 Hokkaido is a large area which makes hard to cover.This private tour will help to make your trip an unforgettable one. Go to see the beautiful lake and the explosive crater for one day tour from Sapporo! This tour starts and ends at the hotel you're staying at. This 11-hour tour features;a friendly, licensed and local guide, a comfortable transportation by professional driver. There is no need to follow or wait for others and you can spend your time just for you. This tour features visits Hell Valley, Mt. Usu ropeway, Oyunuma natural foot bath, and tasty ice cream shop which has a nice landscape. We are able to replace some directions with Noboribetsu Jidaimura, Marinpark Nixe for penguin parade or fruits picking. No rush, comfortable and flexible with your request. *There is a stop for lunch, but lunch is at customer's expense. *Oyunuma natural foot bath is closes during winter. *Fruits picking is available from June to October. If you get bored with skiing, let's go exploring Hokkaido! Treat your self to a unique luxurious experience on board our COOL STAR LIMOUSINE. Once you step on the limousine, we will make you feel like you are in a private jet. You can relax in the spacious coach and explore Hokkaido. 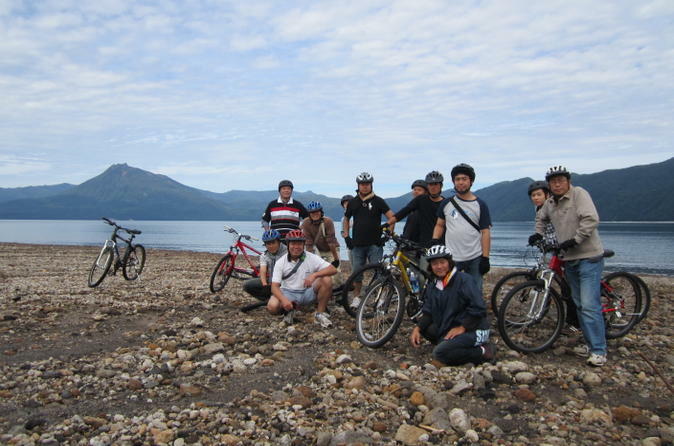 Splendid Hokkaido tour at Lake Shikotsu, Lake Toya and Usu Global Geopark! 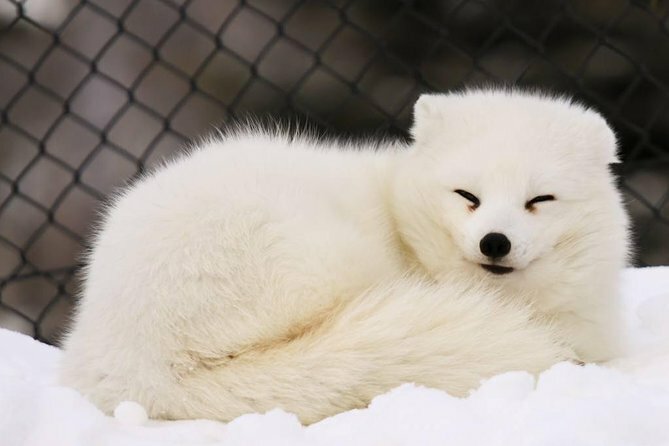 Explore the unspoiled nature in winter’s Hokkaido! 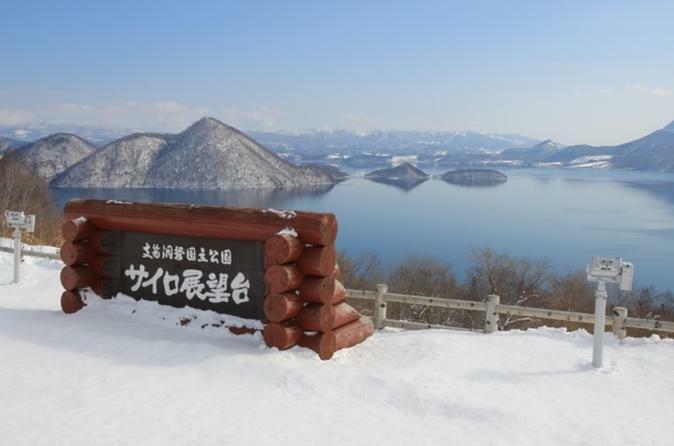 This one-day tour presents Hokkaido's two most iconic lakes Lake Toya and Lake Shikotsu. Shikotsu-Toya National Park is centered with these two lakes. 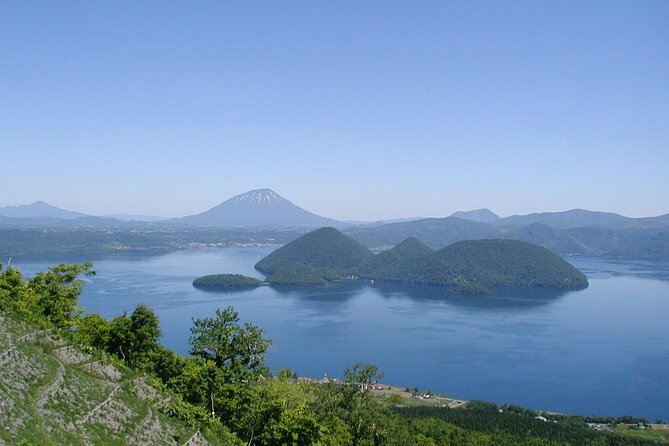 The distance between Lake Toya and Lake Shikotsu is about 100 kilometers and bus ride takes roughly 2 hours. Around Lake Toyo Toya Caldera and Usu Volcano Geopark is a UNESCO recognized geopark, and Mt. Usu can be overviewed from the window on a ropeway ride. Detailed guidance board is available along the promenade in the geopark, to provide visitors with joyful experience of learning mysteries of grandeur earth. Lunch is served at Toyako Manseikaku followed by free walk before heading out. During January 25 to February 17 there will be held Lake Shikotsu Ice Festival, and it will be included in the schedule of this tour. As this is a private tour, we can customise the itinerary according to your needs and preferences. The tour is suitable for children, elderly and the handicapped as well. 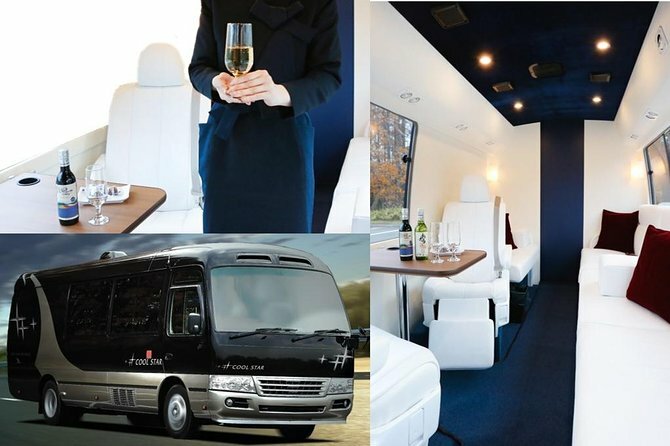 This is a private tour by chartered vehicle with driver. Charter either a limousine, van, or bus for your group. Visit the city highlights at your own pace. What the Oreo is to the US, the Shiroi Koibito is to Japan. 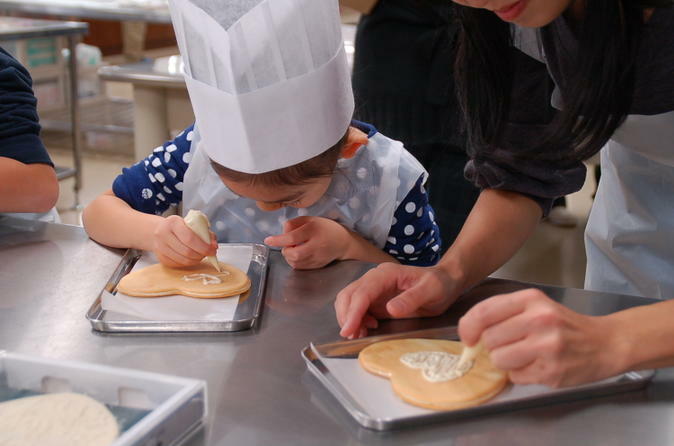 Learn how to make your own heart-shaped version of this famous cookie with white-chocolate filling at the manufacturer’s facility in Sapporo. An instructor leads you through an easy lesson, teaching you how to layer and decorate this popular souvenir and symbol of Hokkaido. Then browse the gift shop for more Shiroi Koibito items to take home. Includes round-trip transport from Sapporo hotels.